An air of exotic elegance added to your meal. We like to keep a bunch hard-boiled - throw them into salads, or a quick snack. Poach, hard-boil, pickle, add to baking...You can treat a quail egg just like a chicken egg. About 4 - 5 eggs = a chicken egg. 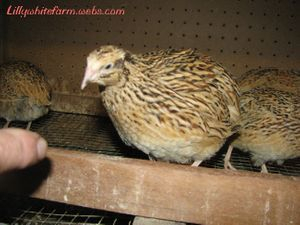 Our eggs are larger because we are raising Japanese Cotournix quail, which are the larger quail. 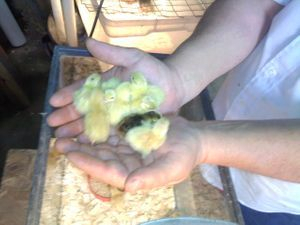 Quail Eggs nutritional value is 3-4 times higher than that of chicken eggs. They contain 13% proteins while chicken eggs provide a bit more than 11%. 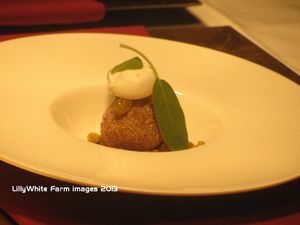 Quail eggs provide five times as much iron and potassium as chicken eggs. They also are richer in phosphorus and calcium. Quail eggs do not have “bad” cholesterol (LDL) and are very rich in “good” (HDL) cholesterol. ~ kid friendly: bite-sized quail eggs are ideal for controlling infections and inflammations leading to asthma, allergies, eczema and psoriasis. ~ remedy against digestive tract disorders such as gastritis, stomach ulcer and duodenal ulcer. ~ can help cure anemia increasing hemoglobin level and remove toxins and heavy metals from blood. ~ can help in the treatment of tuberculosis, bronchial asthma, diabetes and vegetative-vascular dystonia. ~ have strong anticancer effects and may help inhibit cancerous growth. ~ help eliminate and remove stones from liver, kidneys and gallbladder. ~ may accelerate recuperation after blood stroke and help strengthen heart muscle. ~ powerful stimulant of sexual potency. They nourish the prostrate gland with useful substances, phosphorus, proteins and vitamins and therefore help restore sexual potency in men. ~ promote good memory, enhance brain activity and regulate the nervous system. ~ also strengthen the immune system slow down aging of organs and increase the life span; improve skin color and strengthen hair making it shiny and voluminous. That’s why quail eggs are used for facial and hair care masks. 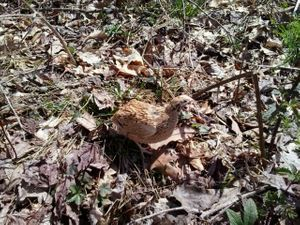 Our farm-raised quail are never subjected to the rigors associated with a life in the wild. They are assured a daily ration of food and water free of harassment from predators, hormone and antibiotic free. This insures that the birds mature steadily and naturally resulting in very tender and deliciously delicate meat. Quail are very small birds making it the perfect serving size. Quail has more protein than a single serving of chicken (13-grams), and the low fat content means a single serving of quail has a mere 69-calories. When it comes to composition, quail meat is quite similar to broiler meat. It has a high protein content and a relatively low fat content. It has a higher content of the good polyunsaturated fatty acids. It is a significant source of phosphorus, iron and copper, while providing reasonable amounts of zinc and selenium. it is high niacin (vitamin B3) and pyridoxine (vitamin B6) content. .
Quail has been eaten through out history. Here are some of the recipes I have found in my own recipe books. 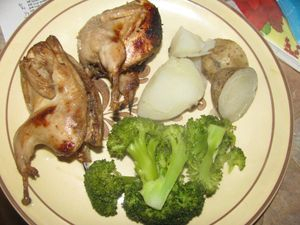 Place quail in a shallow roasting pan; add water. Cover and bake at 300° for 30 minutes. Combine remaining ingredients in a medium saucepan; cook over low heat, stirring constantly, until mixture comes to a boil. Pour mixture over quail. Cover and bake an additional hour or until quail is tender, basting often. Remove cover from roasting pan. Broil quail 4 inches from heating element 3 minutes or until lightly browned. 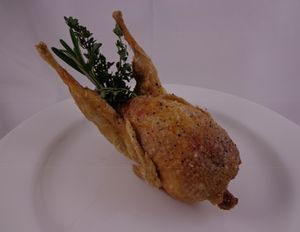 Clean quail and cut into serving pieces. put in the soup pot, simmer slowly until the meat is almost done. Add vegetables. Boil them slowly together until is done. Put salt, pepper to taste. Pour the soup through calender in other pot.